Springtime is right around the corner. First, take inventory. Take out all of the seeds you currently have. Use this handy (free printable) chart to note when each one should be planted. Get excited because it is spring garden prep time! If you haven’t already, decide on your garden site. This site should get at least six hours or more of direct sunlight everyday. A southern facing garden will receive the most overhead sunlight throughout the day. So keep that in mind. Make sure there is a water source nearby, ie; a water hose, or spigot. Level ground and well draining soil are helpful when gardening. Grab our free Seed Starting Notebook. Just a little thank you for stopping by! A month before planting, start cleaning up the garden area. We will need to take out all of the dead plants. Perennials may have new growth coming up through the dead leaves and such. This is a great sign that it’s time to start planting cool weather crops. Remove leaves and tree litter. Get your soil ready by adding soil and compost if needed. 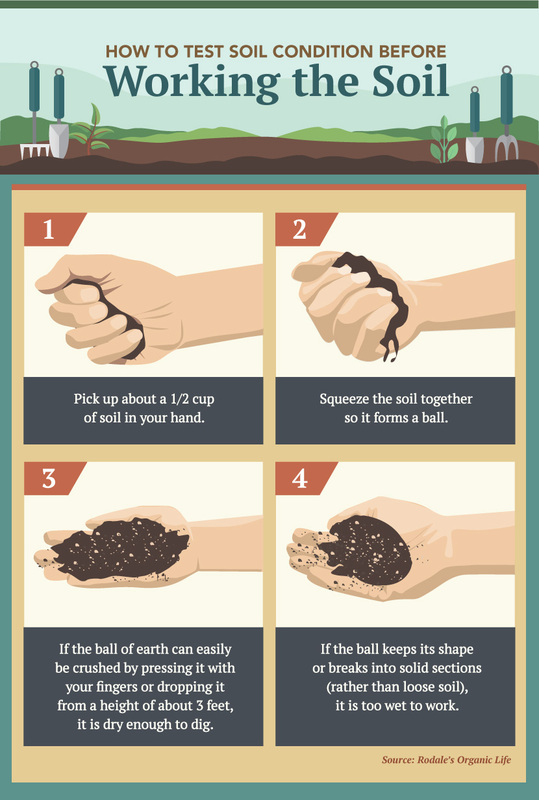 Make sure to mix it into the existing soil. Let your soil rest for a couple of weeks before planting. Affiliate links ahead. I recieved this class for free in exchange for sharing the good word about it. This will not change the price you pay if you decide to buy. Prepare your tools. Clean them up and make sure they are stored under a roof. Sharpening any cutting tools will make this gardening season a little easier. Replace worn out/broken tools, such as gloves or pruners. They have these seeds starter trays that you can buy at the store. I never have had much luck with them. They tend to grow mold more than anything. The seedlings will start to grow but the mold ultimately kills them. Alternatively, you can use items that you may otherwise be discarding. Like toilet paper rolls, or eggshells. Below are some great ideas of things you can use to start your new seeds! Digging is a lot of work. Don’t make it harder on yourself. Make sure the soil is dry, this will make is easier to work with. It will also allow you to add the correct amounts of moisture to your seedlings. You are now ready to start planting! Are you as excited as I am? Thank you for the tips. Although I already know some of it, I still need to know an expert’s idea. Thank you Sarah. I am glad these tips helped you! You have a very informative site that provides this beginner encouragement. I have seen your insights and projects being shared often and decided to follow. I find hope that everything I dream of trying might just happen. Just think eggs from my own hens! Thank you for sharing. That’s so sweet Margo! Just keep trying. It took a long time to get started myself. Just last year we got chickens. They are so much fun to have! I had no idea they are so entertaining. My husband just brought in 8 eggs for the day! It is the most amazing thing E.V.E.R to have fresh eggs from your own chickens! I had egg salad for lunch today, one of my favorites! It’s a true blessing. I hope that you will get to follow your dreams too. I am here to help if you have any questions!